Millions of faithful Dallas viewers had been waiting since the last episode of the previous season on March 21st to find out who had shot J.R. Ewing, the character everyone loved to hate. On this day in 1980, the truth was revealed. The season finale when J.R was shot is still one of the most iconic cliff-hangers in television history, and Dallas, the No.1 rated show at the time, was also one of the first programs to exploit this plot device. A TV show hadn’t caused such a buzz since Little Ricky was born on “I Love Lucy” way back in 1953. When everyone was finally gathered around their TVs after eight long months of media frenzy and speculation, people waltzing around in “I Shot J.R.” t-shirts and waiting, waiting, waiting, the moment finally came when J.R.’s assailant was revealed. Since J.R. was such a monumental turd it could have been anybody, but it turned out it was Kristen Shepard, his sister-in-law and mistress portrayed by Mary Crosby (daughter of legendary crooner Bing Crosby,) who stepped into the villain’s office, pulled the trigger and left him for dead. There was also plenty of drama going on off-screen between one season and the next. 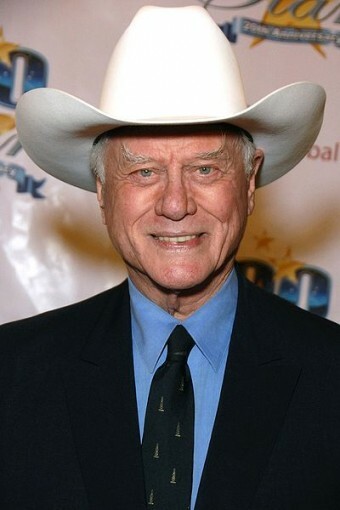 Larry Hagman, who played J.R., was discovering his great worth to the show, despite the fact he was hired as a secondary character when the program began two years earlier. But the fans saw it differently, and delighted in the evil antics of J.R. Ewing, and demanded his character be brought to the forefront. The show profited greatly from marketing Hagman’s likeness on countless products, but Hagman’s contract excluded him from sharing in the spoils. When the show’s ratings skyrocketed even higher as a result of the cliffhanger episode, Hagman saw this as the perfect chance to leverage his popularity to broker himself a better deal. When the program resumed production in June 1980, he took a trip to Europe instead. Ways to write Hagman out of the show were bandied about. The producers considered using an accident storyline where the ambulance that is transporting J.R. to the hospital crashes. In this scenario, poor J.R. is maimed once again. The wounds to his face are especially serious, so serious that it would be believable for another actor to take over the role of J.R.Ewing (possibly Robert Culp). But in the end, there could be no Dallas without Larry Hagman, and everyone knew it. Hagman was back on the set in less than two weeks making $100,000 per episode (about $274K today). He also began getting a cut of the merchandizing. 83 million people watched the “reveal” episode in the United States alone. This surge in ratings did not go unnoticed in the industry and the season-ending cliffhanger quickly became a popular (some would say over-used) writer’s tool.